Wilson 801365 - 1900 MHz 65 dB Repeater - NEW!! 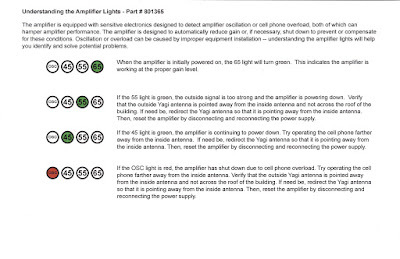 automatically shut down or reduce power in the event of an overload or oscillation. The Wilson 801365 is in stock at wpsantennas.com for immediate shipment. 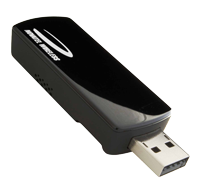 Verizon Wireless announces the new USB760 Micro Modem from Novatel/Ovation. wpsantennas.com has the RF antenna adapter and antennas for the optional external antenna for enhanced performance in stock and ready to ship today. The antenna adapter cable for the USB-760 from Verizon Wireless is the 359927 from wpsantennas.com. The 20 inch external antenna adapter for the MC760 terminates in FME male so it will connect up to a majority of external aircard antennas from wpsantennas.com. The Novatel Ovation U760 Adapter cable 359927 is a new RF adapter and is exclusive to wpsantennas.com at the present time. The Verizon USB760 Magnetic Mount external antenna w/cables from wpsantennas.com is a combination of the premium grade BMMG824/1900ML195 - PCTEL Maxrad Dual-Band Magnetic Mount Cell Phone Antenna and the USB-760 antenna adapter number 359927 for the low price of $49.95. wpsantennas.com has in stock the new 2.5-2.7 GHz panel antenna for WiMax. The ARC-IA2516B01 is an industrial grade 16 dBi panel antenna from the same company that produces the ARC Freedom antenna, ARC Wireless Solutions. The ARC-IA2516B01 Xohm External Antenna for Sprint has been field tested with outstanding results. wpsantennas.com has a full coax assembly department with coax grades from RG-58 to LMR-600 transmission line in stock. The Xohm antennas and Xohm desktop unit require a custom coax with SMA male terminations. mobile and building repeater systems are an excellent solution. One of our newest portable wireless boosters is the Wilson Cellular SignalBoost Mobile Professional which we have mentioned previously. Our favorite is the 801241 - Wilson Cellular SignalBoost Mobile Professional Dual Band 800/1900MHz Cellular/PCS Wireless Amplifier Kit. Its perfect for the road warrior who wants to travel light. This kit contains the base cell phone signal booster as well as a 12" antenna, USB power cord to charge from your laptop, DC head for charging in your car, and AC head for charging in a motel room. It also includes a suction cup mount for the antenna so that you can mount the antenna to your motel room window. Finally, it includes a canvas case for all components. SignalBoost Mobile Professional Signal Booster is competitively priced and very portable easily fitting into a laptop case. Frequent visitors will notice several changes to the wpsantennas.com website which we are very excited about. In the last few months we upgraded our web server software providing for better performance as well as well as easier navigation, organization and checkout. wpsantennas.com now accepts Google Payments. This is in additional to our previous support of Visa, MasterCard, American Express, Discover, PayPal and Purchase Orders (via phone or e-mail) from approved commercial and government agencies. Network Solutions WatchDog in additional to McAfee Secure which we continue to use as well. wpsantennas.com has in stock for immedate shipment the 184-TR Cellular Antenna for Semi Truck and RV use. 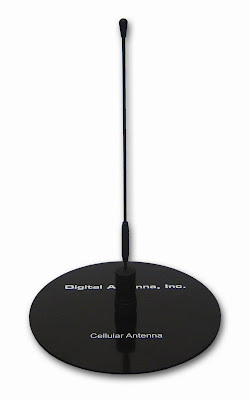 The Digital Antenna 184-TR offers exceptional range, excellent wind resistance and unsurpassed durability and strength. The antenna and ground plate simply attach to Digital Antenna’s RV cable install kit or anyType N female bulkhead connector. Digital Antenna’s new pre-assembled 30' RV cable install kit #C457-30 allows for easy cable installation. Connectors are factory attached to ensure greatest connectivity and reduced install time. Premium low-loss DA240 cable features a tinned braid and foil shield for maximum signal transmission.